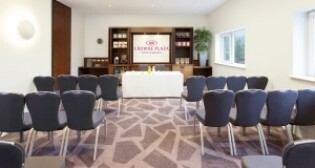 It comes as no surprise that Crowne Plaza Marlow is known as 'The Place to Meet'. 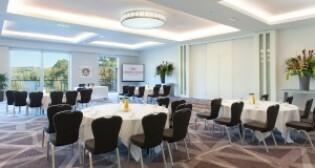 The hotel offers state-of-the-art conference and meeting facilities in the heart of the Thames Valley. Room Hire Rates include: Flip Chart, Notepads, Pens and Water and is subject to availability. The quality of our conference facilities, our dedicated Conference and Events Coordinators team and flexible lunch options make Crowne Plaza Marlow the ideal choice for a successful event. All our Day Delegate Rates include complimentary Parking and Superfast Ethernet Wi-Fi.